The World Health Organization lists physical inactivity as the fourth leading risk factor for global mortality. Without a doubt, being physically active is critical for our health. The benefits of physical activity are well known. Increasing muscle mass increases metabolism, making a healthy weight easier to maintain. Regular physical activity helps improve bone density and can prevent and even reverse osteoporosis. Physical activity helps regulate both the levels and sensitivity of a huge variety of essential hormones, including insulin, cortisol, leptin, ghrelin, and melatonin. It also boosts your mood by directly affecting several neurotransmitters. Getting regular moderate physical activity decreases risks of cardiovascular disease, type 2 diabetes, depression, and some cancers. However, it’s not a case that the more exercise we do the healthier we are. And this is an important distinction. When it comes to exercise, there’s a happy medium that provides health benefits. 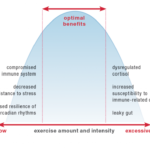 Too little activity is associated with detrimental health effects, including a compromised immune system, decreased resistance to stress, and decreased resilience of circadian rhythms. However, too much (too strenuous, too intense) activity also negatively impacts health, including causing dysregulated cortisol, increased susceptibility to immune-related diseases and infection, and a leaky gut. Yes, you can get too much of a good thing. This is called a U-shaped curve, where both too little and too much cause problems and there’s this great happy middle range. 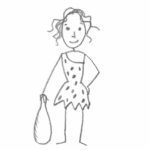 In The Paleo Approach, I detailed the impact of strenuous activity on the immune system (summary: it’s not good). 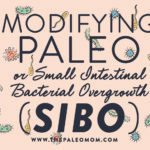 Here, I’d like to discuss in more depth how strenuous activity directly affects the integrity of the gut barrier, ultimately causing a leaky gut. But, first, let’s take a step backward. What exactly is a “leaky gut”? The gut is a barrier between the inside of your body and the outside world. Yes, as unintuitive as it may be, the stuff inside your digestive tract is actually outside your body. But, the gut is a very unique barrier. Its job is to let important nutrients inside the body while keeping everything else out. This makes it a highly selective semi-permeable barrier. Nutrients enter the body through a variety of tightly controlled mechanisms. What forms this highly selective semi-permeable barrier is a single layer of highly specialized cells called gut epithelial cells (or enterocytes). Epithelial cells are amazing (I happen to be very fond of them in large part because the last two years of medical research I did before having my first daughter was studying these guys!). They are one of a few types of cells within the human body that have a top and a bottom. The structure of the cell membrane is different at the top of the cell compared to the sides and bottom. At the top (also called the apical side of the cell), the outer cell membrane is shaped into thousands of fingerlike projections called microvili which act to increase the surface area of the top of the cell. The membrane that forms the sides and bottom of the cell (also called the basolateral membrane) is smooth. These two membranes have different jobs to do. 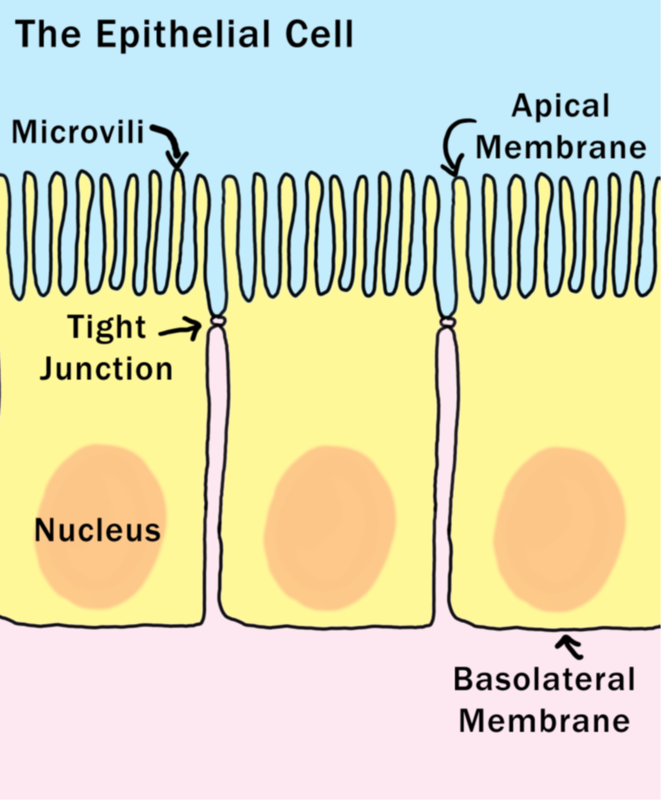 The apical membrane faces inside the gut, and it the very important job of engulfing nutrients to transport through the cell, across the basolateral membrane, and then into the body. What separates the apical and basolateral sides of the epithelial cell is a phenomenally complex and essential structure called a tight junction. Tight junctions are formed by the interweaving of dozens of different proteins, including several that cross the cell membrane (so part of the protein is inside the cell, part is embedded in the membrane, and part is outside the cell). These proteins tangle together in complex and dynamic ways to form a bond to the adjacent cells. Not only are tight junctions how the epithelial cell differentiates between its top and bottom, but it’s also part of the glue that holds this ever important sheet of cells together! Tight junctions are dynamic structures and the epithelial cell can control just how open or closed the junction is. The junction can be rapidly opened and closed to allow some larger nutrients across the cell. 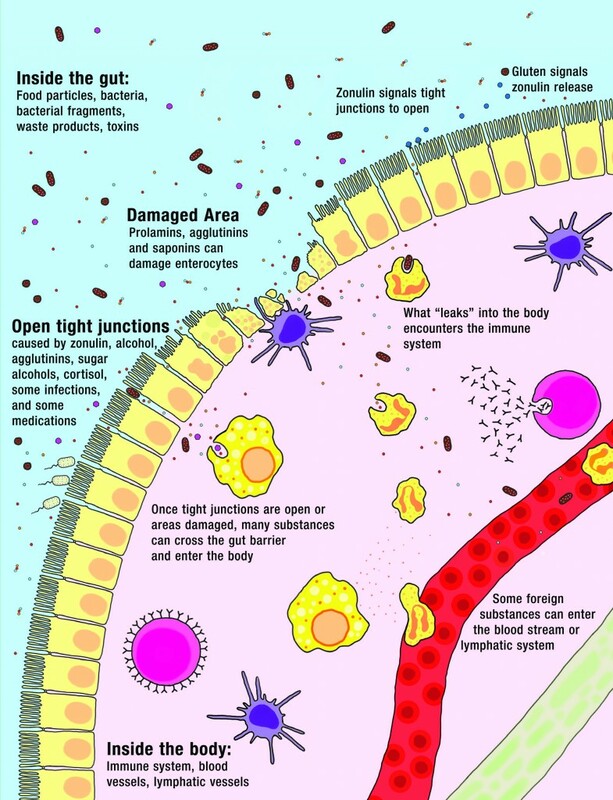 But, when something happens to damage the tight junction, or impact the cell’s ability to control how open or closed it is, that’s when a variety of bad things happen. There are two ways that a gut can become “leaky”. If something damages the gut epithelial cell and the cell dies, that leaves a small hole (at least until the gut can repair itself). If something triggers the opening of the tight junctions, that also leaves small holes that substances inside the gut can leak through into the body. A variety of substances can force the tight junction to open (and is out of the cell’s control), like alcohol, the protein zonulin (released by people with certain genes in response to gluten), and a class of lectins called agglutinins (found in grains and legumes) . Not only does this create a pathway for things to leak into the body, but it’s also a tremendous stress on the cell. It can kill the cell (creating an even bigger hole), or worse: the loss of tight junction assembly is one of the steps for an epithelial cell to become a cancer cell. A leaky gut, or more technically “increased intestinal permeability”, means things can get across the gut barrier that aren’t supposed to. This happens when either the epithelial cells or the tight junctions are damaged. And right on the other side of that barrier is 80% of our body’s immune systems, acting as a sentinel, ready to attack anything that might try to cross the barrier. So, when you have a leaky gut, you also have an activated immune system. What leaks into the body isn’t big chunks of food, but a variety of small substances—like incompletely digested proteins, bacteria or bacterial fragments, infectious organisms, and waste products—which all stimulate the immune system on the other side. Some substances cause generalized bodywide inflammation (for example, bacterial fragments from those good bacteria that live in our digestive tracts but are supposed to stay there can stimulate inflammation which can then travel throughout the body). 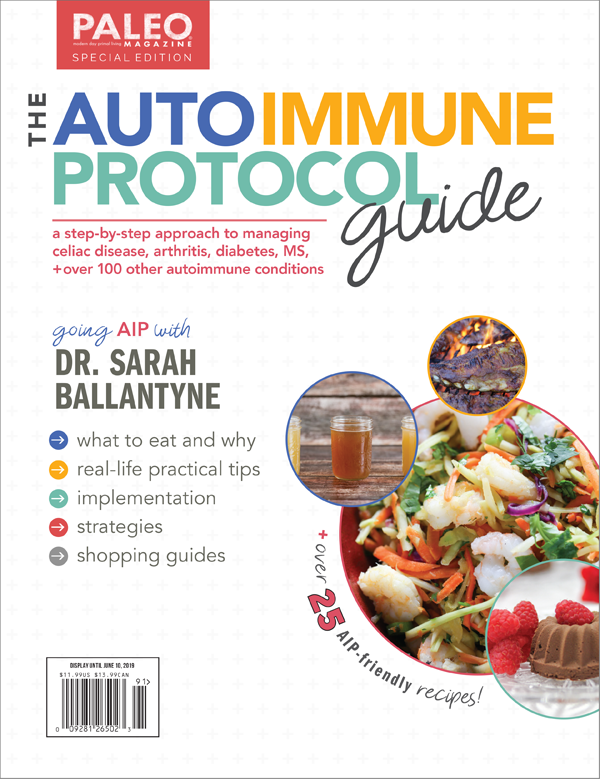 Some stimulate targeted attacks by the immune system (for example, a food intolerance or allergy could result from incompletely digested food proteins leaking into the body). The many symptoms and health conditions related to leaky gut are caused by this stimulation of the immune system. Yes, having a leaky gut is bad. 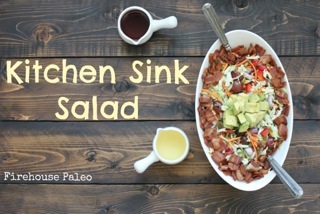 But, this isn’t a new concept for you if you’ve been following a Paleo diet for a while. You’re already savvy to how the foods you eat impact the health of your gut barrier. But how does exercise cause a leaky gut? It actually shouldn’t come as a surprise that intense and strenuous activities cause gut problems. Up to half of all long-distance runners experience something called runner’s diarrhea (colloquially referred to as “runner’s runs,” “runner’s trots,” or “the gingerbread man”). The symptoms include dizziness, nausea, stomach or intestinal cramps, vomiting, and diarrhea, which occur mainly while running. All these are symptoms of something more insidious happening in the gut. The way that exercise increases intestinal permeability is multi-faceted. First, intense activity is a stress on the body and activates the Hypothalamus-Pituitary-Adrenal (HPA) Axis, i.e., the Stress Axis or the Fight-or-Flight Response. This causes the release of two important hormones that directly affect gut health. The better known of these hormones is cortisol, the master stress hormone. 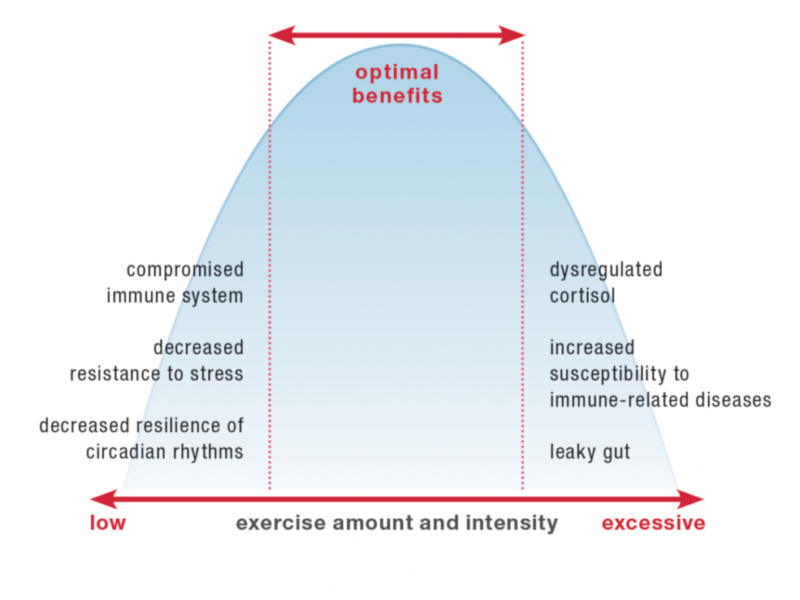 This secretion of cortisol is largely responsible for the negative impact of intense activity on the immune system, however it can also directly affect the integrity of the gut barrier as well. Very high cortisol alters tight junction assembly, making the gut more permeable to low molecular weight substances and less permeable to high molecular weight substances. High cortisol further, decreases gut motility, decreases mucus production in the gut (by goblet cells), inhibits digestion (by reducing pancreatic enzyme secretion and gall bladder function), decreases intestinal blood flow, and may even directly alter the gut microbiome. Yep, cortisol is not your gut’s friend. 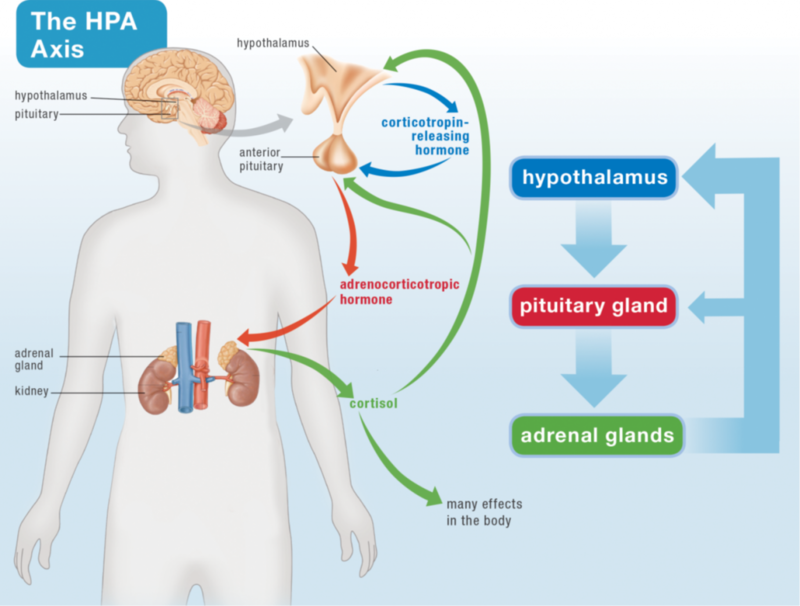 But when it comes to activating the HPA Axis, there’s another upstream hormone that has an even more profound impact on the health of the gut: corticotropin-releasing hormone, or CRH. CRH is released by the hypothalamus in response to stress (whether the stress of a lion chasing you, a traffic jam when you’re late for an important meeting, or a 3-hour long marathon training run). CRH signals to the pituitary gland to release another hormone which then signals to the adrenal glands to release everything they release, including cortisol. CRH not only increases the permeability of the intestinal barrier (causes a leaky gut), but it also increases permeability of the lung barrier, the skin barrier, and the blood-brain barrier. It does this two ways. First, it activates mast cells (an immune system cell type that resides in most tissues and that is a major producer of histamine, for example during allergic reactions) which then secrete a variety of substances (histamine, heparin, and cytokines) that trigger the opening of tight junctions. Second, CRH has a direct effect on the tight junctions by increasing the incorporation of a type of protein into the junction that causes those junctions to be more open (the tight junction protein is called claudin-2, and when claudin-2 is incorporated into tight junctions, epithelial barriers are more leaky, or permeable). In order to prioritize blood flow to the heart and skeletal muscles during exercise, blood flow is diverted away from the gastrointestinal tract and other visceral organs (like the liver and spleen). This lack of sufficient blood flow results in what is called ischemic injury (injury that results from inadequate blood supply) to the gut, which disrupts the intestinal barrier and thus increases intestinal permeability (aka, the dreaded leaky gut). A few conditions can aggravate the increased intestinal permeability caused by strenuous exercise. One study showed that the use of ibuprofen, a nonsteroidal anti-inflammatory drug (NSAID), significantly exacerbated both intestinal permeability and intestinal damage caused by strenuous exercise in well-trained athletes (ironically, popping ibuprofen is a common practice for endurance athletes). There is also a strong correlation between both food intake and the consumption of carbohydrate-dense, electrolyte-enhanced beverages and gastrointestinal symptoms in endurance athletes. Strenuous exercise inhibits gastric emptying (the movement of food from the stomach to the small intestine), which is then further inhibited as the concentration of carbohydrates and salt in the stomach increases, so sugary sports drinks can actually make the problem worse. Of course, dehydration also causes heightened symptoms. It remains unknown whether food and overly concentrated sport drinks actually increase intestinal permeability or simply magnify the symptoms felt by the athlete. Environmental conditions also have an impact. One study showed that a sixty-minute run in both hot (91°F or 33°C) and cool (72°F or 22°C) conditions caused increased intestinal permeability, but that the amount of endotoxin (bacterial protein from Gram-negative bacteria) detectable in the blood was much greater after strenuous exercise performed in hot conditions but not in cool conditions. This implies that strenuous exercise is more inflammatory if performed in the heat. Probiotic treatment may also help protect the gut from increased permeability caused by strenuous exercise. One study showed that probiotic supplementation reduced the amount of proinflammatory cytokines in the blood after strenuous exercise in male athletes and decreased the amount of zonulin (a protein that opens up tight junctions between the gut epithelial cells, implicated in a few autoimmune diseases) detectable in the feces. Runners, cyclists, and triathletes have been studied for exercise-induced intestinal-barrier dysfunction. Although there have been no definitive studies on the connection between resistance training and intestinal permeability, it probably depends on the style of workout and the amount of rest time between sets. Certainly, high-intensity, short-rest workouts have been shown to increase cortisol secretion more than traditional resistance training. By contrast, regular exercise at a relatively low intensity may protect the gastrointestinal tract from becoming diseased. There is evidence that physical activity reduces the risk of colon cancer, gallstones, diverticulosis, and inflammatory bowel disease, which is yet another argument for increasing physical activity while avoiding strenuous exercise. Again, it’s the happy medium thing. Really what this means is that it’s more important to be active than it is to do exercise. By this, I mean that the best benefit to your health is to do light to moderate activity for as much of your day as possible. This includes things like going for a walk, taking the stairs, parking in the farthest parking space instead of the closest, working at a treadmill desk, gardening, doing housework, playing actively with your kids or your dog, maybe getting some moderately-intense activity designed to build strength into your day too, like lifting weights or yoga. This is both avoiding being sedentary, especially sitting for prolonged periods of time, and avoiding overly strenuous or prolonged physical inactivity like endurance training and HIIT-style workouts. But, it’s also important to understand that what is “too strenuous” is different for different people. Clearly how physically fit you are is going to determine what intensity workout is going to be overdoing it or not. 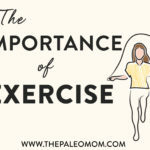 But, there’s other important lifestyle factors that play into this as well, like how long you give yourself to recover after a more intense workout (it should be at least 24 hours, if not more like 48), how well managed your stress is, whether or not you’re working out in the heat (this increases leaky gut even more), and whether or not you’re getting adequate amounts of sleep. How nutrient-dense your diet is is almost certainly a player as well, including how your diet impacts the health of your adrenal glands, neurotransmitter regulation, and the gut microbiome. So, what’s the take-home? There’s no benefit to overexerting yourself in the gym or on the pavement. What is overexerting yourself is individual, and you’re going to have to do that thing again, you know, listening to your body. Yeah, and self experimentation. I know, I know, it’s so much easier when there’s firm rules. Trouble is that we’re all individual, and while science can definitely point us in the right direction, the details are still up to each of us. If you’re following the autoimmune protocol or some other Paleo modification to manage chronic illness, working out too hard might be holding you back from healing as much as you can. This doesn’t mean that you can’t get stronger, faster, and more agile—you can! But it does mean that you should be aiming for slow, steady progress, making sure you take adequate rest days between your more intense workouts and making sure that the intensity level is appropriate for you. And don’t let this be an excuse to avoid activity! Remember where this blog post started: physical activity is crucial for health. What do I do? I make many choices to increase my physical activity. I go to CrossFit 3-4 times per week (please note that I took 2-2.5 years to build up to this level of activity). 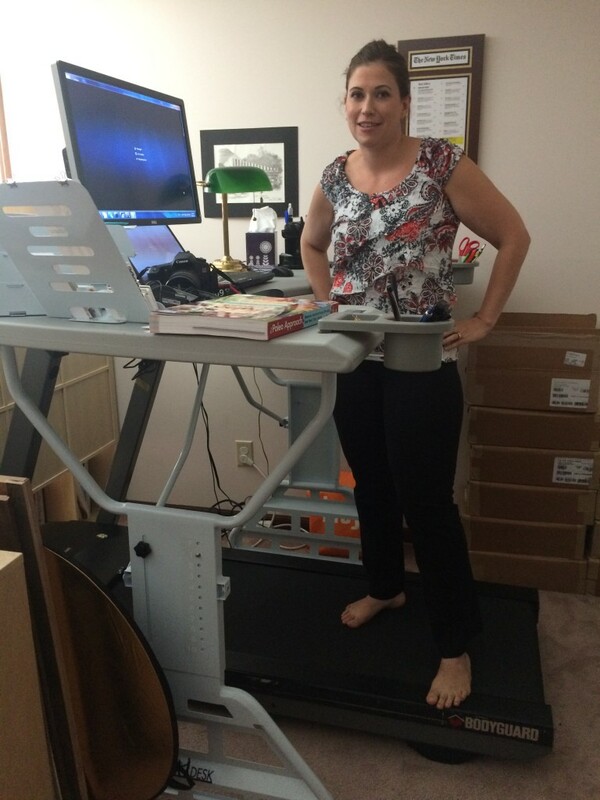 I work at a treadmill desk, sometimes walking, sometimes standing (I also spend some time working while seated at my kitchen table). I like to play actively with my kids. I try to always take the stairs and park in the farthest parking spot. 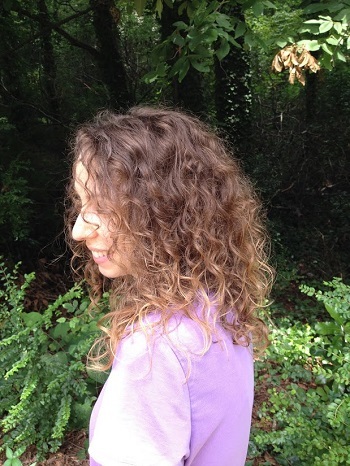 I enjoy gardening, dance parties in the kitchen, hiking and yoga. I enjoy everything active that I do, so it’s also fun for me. I feel icky when I sit for too long (ironic that I’m working on this post while on a plane!). And of course, I’m still a work in progress. 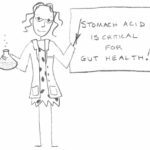 I talked about this and other lifestyle factors that directly impact the health of the gut at the Ancestral Health Symposium in Berkeley, California in August 2014. 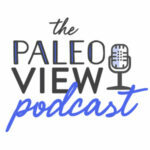 Is Paleo Making My Eyesight Better? My 3 boys are in organized sports at the middle school and high school level. Some sports, like xc running, involve training all year long. How can I determine if my children are training too much? ah, a post I have wanting to read about for a while – thankyou!!! awesome explanation. It’s posts like this that make me continually recommend your blog to my friends and family when they ask me why I eat the way I do and why I exercise the way I do and still maintain a healthy weight (with the exception of my 9 months pregnant belly right now). Thank you! Thanks Sarah for your information. This makes sense to me and explains why I still have many GI issues whilst on a Paleo diet. I am doing long distance running training (as well as HIIT and strength training) and find my runs are normally interrupted with an emergency toilet stop. I’m hoping this won’t happen in my 25km race next week (it is always a huge concern of mine). Whilst I undetstand what you are saying changing your habits when are dependent on exercise is mentally quite hard! Found you through an recipe that was reposted. As an exercise physiologist, coach, trainer and athlete that is working on healing myself from Lupus. Overall great job, on this article for the most part it is right on point and factually correct especially for a layperson. Keep up the great work! 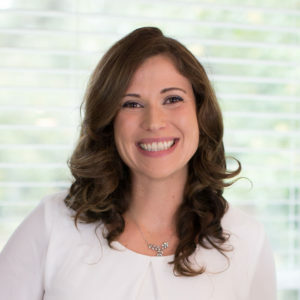 Dr. Rhonda Patrick who founded a site called “found my fitness” has been advocating “hyperthermic conditioning” (a term that I believe she coined) via frequent and exhausting use of saunas. She seems to have only great things to say about activating heat shock proteins. Are you familiar with her work, and if so, do you have an opinion about hyperthermic conditioning? Thanks! WOW, Who would of thought that just looking at healthy recipes, that you would find Something this Good. Awesome GAL!. Your article has it wrong, heat shock proteins (HSPs) protect the tight junctions NOT cause leaky gut. This is taken from the review article you referenced: “In the gastrointestinal tract, increasing the levels of HSP70 increases the expression of actin fibres and prevents the breakdown of the tight junction protein occludin. Furthermore, HSF-1 mediates the increase in occludin expression during heat stress. HSP70 has also been shown to protect the actin cytoskeleton of intestinal cells from hydrogen peroxide and hypoxia induced damage.” In fact, it has been shown in mice when you over express heat shock proteins it protects against leaky gut. I agree I have leaky gut,and I do p90x probablly not the best thing I can do right now. I’m also having some issues with this article! First there’s an elaborate detail to how damaging high-intensity work-outs can be to your body, especially the short, in-between breaks ones (i.e. CrossFit) and then further down there’s a revelation that the author herself does that very same exercise (CrossFit) 3-4 times a week!!! I wonder why there haven’t been any responses to the critique and questions posted! She does mention “please note that I took 2-2.5 years to build up to this level of activity” , she also mentions all the other things she does. So it sounds like she is generally active. From what I can gather, its going from nothing; to high-intensity work-outs that is so damaging, which makes complete sence. Working your body up and improving your health enough to be able to do high-intensity work-outs along with other moderate exercise over 2 years does not sound like something that you need to have issues with surely?